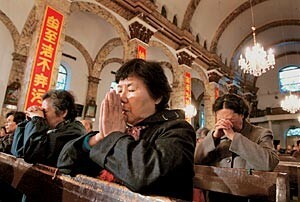 Vatican City (AsiaNews) – More than 600 female monasteries are praying “so that the Holy Father’s letter is well-received, China opens up to the Gospels and give unrestricted religious freedom to all believers.” This initiative is the brain-child of Card Ivan Dias, prefect of the Congregation for the Evangelisation of Peoples, and Fr Ciro Biondi, PIME, secretary of the Pontifical Missionary Union (PUM), one of the Pontifical Missionary Works connected to Propaganda Fide. Their action comes as the publication date of the Pope’s “Letter to Catholics in China,” which the Pope signed on May 27, solemnity of Pentecost, approaches. He also calls on every nun to spread the word of the initiative to every monastery in the world.